Indian politics was shocked at the suddent resignation of Nitish Kumar, who apparently was ‘too hurt’ over Narendra Modi’s rapid rise to the top seat of power. Many welcomed the end of perpetual ‘nautanki’ in Bihar when JDU decided to bench Nitish Kumar and give Jiten Ram Manjhi his job. Though the hype generated on the caste lines never lasts in the absence of substance. 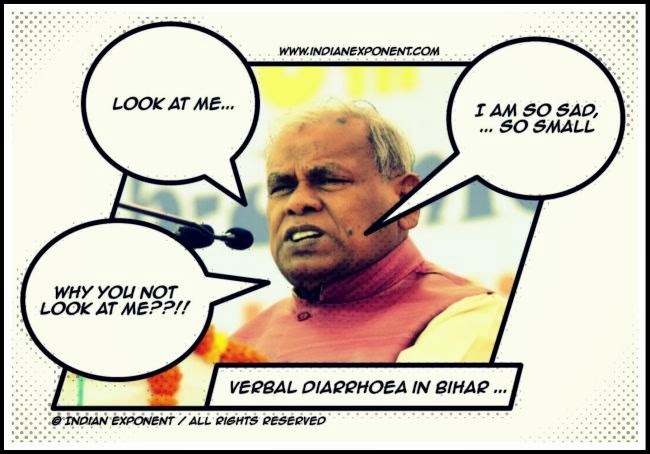 Between that day and today there’s proabably no stage left in Bihar where Manjhi hasn’t sobbed about how he’s about to be fired. Is ‘Dalit Sympathy’ reserved for a nautankibaaz like him?